AMS has a wealth of experience both in the UK and overseas markets. The company has been trading since 1990. It has grown to embrace the latest online technology and powerful online marketing techniques. The company now sells over £10M worth of equipment per year to an ever-growing worldwide audience. Nationwide Services range from - Asset Valuation, Strategic Advice on Asset Disposals or Acquisitions, to Stock Takes and Inventories. AMS takes great pride in its ability to respond rapidly and tailor its services to meet the needs of many major Financial Institutions, Banks, The Official Receiver, HMRC and its ever growing list of Insolvency Practitioners and Private Clientele. Monthly ‘Live’ Public Auctions are held at AMS’s permanent Saleroom in Cheltenham, Gloucestershire, offering a full range of Office Equipment/Printing, Engineering/Woodworking Machinery, Agricultural and Builders Plant, Musical Instruments, Vehicles and much more. Live Public Auction and Tender Sales are sometimes conducted off-site or at the vendors location for cost effectiveness or convenience, details of which can be found in the Sales Calendar. 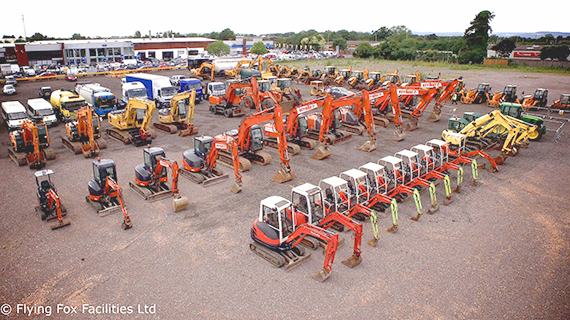 AMS Auctions provide a wide range of goods, equipment and machinery to buyers around the globe. With over two decades of auction experience, AMS has established a reputation for a high-quality, reliable service for buyers and sellers alike. Trusted by the Official Receiver, Banks, JCB, Lombard and many more. several offices across the UK. The complete solution for your business needs, AMS provide a full range of logistics & ancillary services. Please see our other listings for up and coming Auctions. Visit our website for more information.